CIOE 97.5 FM the Voice of East Coast Music is pleased to continue its series of Live concerts featuring East Coast Artists. East Coast Artist, Ian Sherwood. 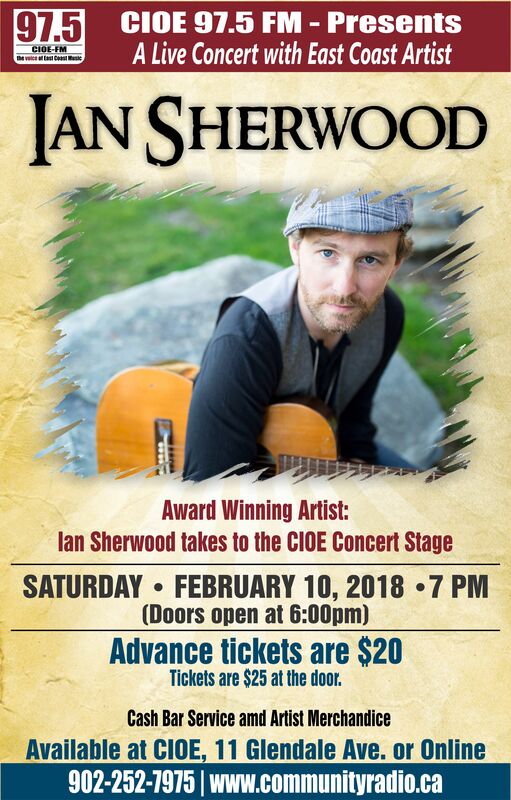 Saturday, February 10, 2018 at 7 p.m. (Doors open at 6:00pm). Cash Bar and Artist Merchandise Will Be Available. Call: 902-252-7975 for Tickets or Order Online. ORDER NOW!.